Yonka Comforting Hand Cream has an elegant texture that bursts with benefits when it comes to repairing the driest and most damaged of skin. This ultra-comforting hand cream is rich in Mandarin-Sweet Orange essential oils renowned for their restructuring, nourishing and hydrating properties. It helps preserve a youthful appearance for hands, and ensures their protection against harsh environmental factors. This hand cream contains restorative benefits known for their healing properties used to nourish, hydrate, and heal rough, damaged hands. Restores and preserves a healthy, youthful appearance. Protects against harsh weather and the environment. Absorbs quickly leaving hands smooth, supple, and hydrated. Usage Instructions: Apply the cream to dry, clean skin, and massage from the fingertips towards the wrists. For damaged or cracked hands, apply frequently. Yonka Paris skin care is a brand and registered trademark owned by Laboratoires Multaler and Cie, a French company created in 1954 and specialised in "phytoaromatic" skin care (or fragrant plant-base). The founders of Yonka Paris perfected a process for stabilizing essential oils in water-based emulsions. This was the beginning of what would become Yonka Paris, a pioneer of esthetic aromatherapy and phytotherapy. 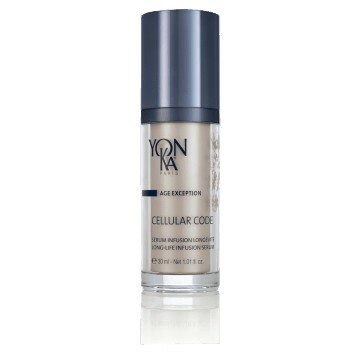 Over the years, Yonka Paris skin care has established a reputation for consistently offering high-quality skin care products. Yonka Paris skin care is distributed in over 40 countries, exclusively through the network of 5,000 selective spas and beauty clinics. Yonka Paris skin care products are manufactured in Argenteuil, France, designed to maximize quality and purity of the finished Yonka Paris skin care products, with extremely rigorous selection and inspection of ingredients, production conforming to pharmaceutical standards and traceability of products.